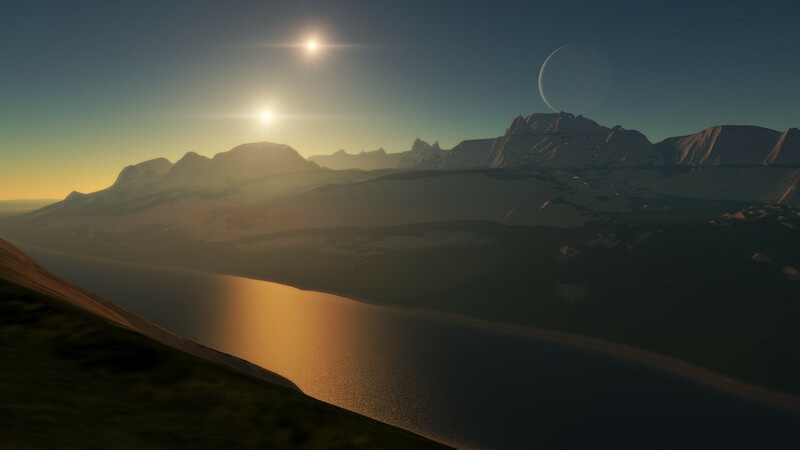 Forum » SpaceEngine » General Discussions » Where Are All the Amazing Sights? Where Are All the Amazing Sights? First of all, before I say anything, I want to clarify this is not a complaint of the game. Alright, anyways, since that's out of the way, I have a question I've been meaning to ask for a little while now. However, since I've rarely seen any of these incredible sights since I started playing Space Engine. Most of the times I get generic-looking planets with asteroids as moons. Gas planets usually are one shade of color and occasionally have dim rings. Entire landscapes are either nearly flat or just plain boring. In short, I'm not getting the same incredible results as most screenshots depict. Is this normal? Am I not looking hard enough? Am I missing a "diversify universe" feature? Normally I wouldn't mind these results, but recently I've been exporting skyboxes for Roblox, and I want to best views I can get. You can imagine my annoyance when every other planet is nearly similar or just plain boring. Since I've started uploading Space Engine skyboxes to Roblox finding anything interesting or new is an incredibly hard task. I hope you all understand what I'm getting at. I just want to get the incredible views that I see on so many screenshots, and I feel like I'm missing out on something when all I get are generic planets with boring locations. Maybe I'm missing out on some feature of the game or maybe I need to look even harder. I have the same problem. I watched this video https://www.youtube.com/watch?v=Ow31AX3Eto4 and I was like "woah. Mine looks nothing like this". The best I can get are some planets that have some "rocky" texture on them but still, it looks nothing like the video, mostly a generic, flat, boring landscape. Are we missing something guys? I've searched the graphics settings and found nothing related. Is it some kind of modification? Also, I mentioned something about planets having some rocky montain-like texture. Earth looks worse than that, just a flat green valley. I feel like I'm missing out a lot. First of all, truly spectacular worlds aren't so common. The majority of terrestrial bodies you run into will be barren selenas/ice worlds or the ocassional mars-like desert.Second, the pictures in the article you've linked don't even need a good location, you just have to adjust the camera so it looks nice. The first galaxy pic? Just go above the disc of a lenticular galaxy and you can get a pic as good as that. The second one? Find a gas giant with a large moon, position the cam so they look equal in size, turn auto-exposure off, locate the galactic bulge in the background, and there you have it. The third one? Find a gas giant with a moon with an atmosphere, go up to the edge of the atmo, look at the gas giant and there's your pic. EDIT: Also, you could use the planet palettes mods, the thread should be on the first or second page in the mods section. My videos there were from Space Engine 0.96 and it took me a little bit to find those planet, as for the screenshots that Thomas linked those were also from Space Engine 0.96 they also seemed to change there fov as well. Also maybe you guys need to look a little bit more or use the star browser cause that helps me a lot to find great views. Here are some examples from the current version. Here is the Location for this screenshot so you can check it out and see if it looks good yourself. Edit: Sorry bout that the first screenshot was from Space Engine 0.971 or 0.97 the rest were from 0.96. Also as Deathstar said some of those screenshots are good camera work, you just have to put your camera at the right place and adjust some settings and they look good. Thanks for your advice! I had no idea there was a star browser! This will really help! Exploring solar systems close to, or inside, a nebula will give even the most boring planet a spectacular backdrop. Similarly, the Magellanic clouds also make for very pretty locations because the Milky Way is always very large in the sky. And have a look in the planet palettes thread. Adding some palettes will diversify your planets greatly. Thanks for all the help, especially Apenaap! I got the majority of those planet palettes to work, and I've already found some terrific planets and moons! Thanks everyone! I think LOD should be discussed here. There is a field called LOD and it has 5 settings: -2, -1, 0, +1, and +2. Generally -2 or -1 is good for flying around and finding a good spot, but then once you're done moving the camera around you increase it for your spectacular screenshot. Warning: Your computer will "lag" at positive LOD's. It can take a moment to render a +1 LOD, and several minutes for a +2 LOD. It depends on your system specs as well. Moving the camera with higher LOD is generally not a pleasant experience. I like +1 personally, but if you're really trying for ultimate screenshots you go to +2 and while it renders you go to the washroom, cook a meal, etc. I am new to all of this and consider myself somewhat of a amateur as far as knowledge of the cosmos. I heard that black holes can be discovered or seen in the Engine, and I was curious as to what sort of clues I could get to find one being that there is no physics or gravity in effect to show me the pull a hole would have on surrounding bodies. Also are there any neutron stars? Sorry If these are noob questions! Thanks all. In Space Engine, it is assumed that every spiral galaxy has a black hole in its center. Just select a spiral galaxy (SB*, ie: mikly way lookalike), and hit CTRL+G to "land" on the galaxy (this is because the hotkey is used to land on planets). Soon you will stop in the middle of the galaxy, and a black hole will appear (just takes some time to generate it). Open the star browser on the left pop out menu and then go to anything with the X Class. Alternatively you could just click any galaxy or globular cluster and press CTRL + G to instantly go to the center and there should be a black hole. As for neutron stars, look for the Class Q stars in the star browser. Coco, copy the code, open Space Engine, press F6, and click the "Paste" button. You will have a new entry created, select it and press "Go To".